With the number of large-scale tech M&A deals increasing in 2011, some believe that another technology bubble is forming. Following the coalition government’s pledge to help the developing local tech sector at Silicon Roundabout, LB finds out how law firms are placing their bets, and who is getting ahead of the game. 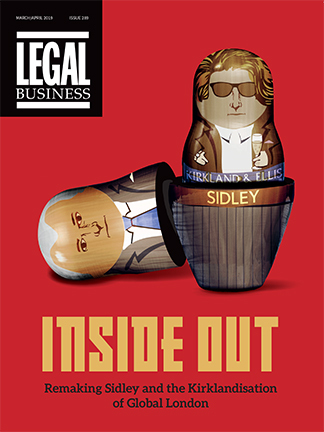 All eyes in the legal community are firmly fixed on East London. Taylor Wessing’s October move to open a second London office in Tech City, located near the Old Street roundabout, renews focus by commercial law firms on the technology scene, and signals a flourishing of the UK’s tech sector. Eight years after its formative merger, Taylor Wessing remains divided. With a new strategy and rebrand in the offing, has the firm finally laid its integration demons to rest, or is it just a new logo and a different shade of green? Modern law firms are complex machines. In a perfect, well-managed example, the inner workings click and whirr in seamless industry. At Taylor Wessing, the parts haven’t been put together properly. The engine needs some work.